On Friday June 10, 2016. 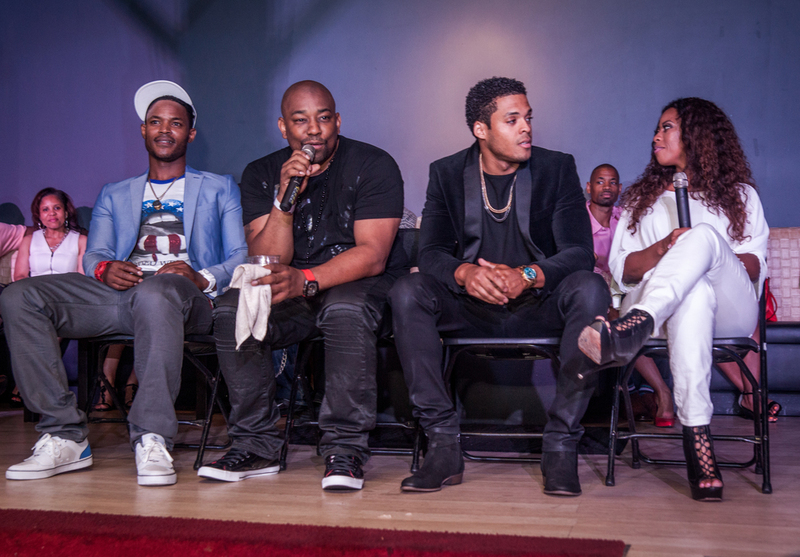 Atlanta socialites, influencers and media personnel gathered at The Haven Lounge for a steamy, hot and romantic relationship panel and screening of the upcoming film "Secrets", in theaters Fall 2016. Hosted by Kim Ford, Publisher of Jubilee Magazine and Mikey, Kontrol Magazine's Online Editor, the panel included Award Winning Publisher and Executive Producer of the film Tressa "Azarel" Smallwood and cast, Harold "House" Moore (VH1 Single Ladies), Dennis "LA" White (Notorious) and Deric Augustine. Guests had the opportunity to get a sneak peek of clips from the movie and participate in a Q & A with the panelists about love, marriage and relationships. Directed by Juwan Lee, "Secrets" the movie is adapted from the best selling book, "Secrets of A Housewife" by J. Tremble. Secrets" the movie is guaranteed to captivate audiences with its thrilling twists, dramatic turns and true to life plot points. The film “Secrets” is noted to be an official selection and highlight of this year’s ABFF celebration. With the ever-growing trend of novel-to-film adaptations and success of such films including, Zane’s 'ADDICTED'. Smallwood, Lee and Tremble are bringing edgy story lines and great business practice back to the Black film and entertainment community. The release and premiere at ABFF is the first stop for Smallwood as she continues to amplify her brand throughout the industry.